You want to enjoy the beautiful neighbourhood or visit the numerous destinations with a focus on culture or entertainment? Pörtschach leaves you the choice. Below please find a small selection of the great number of sights and attractions Carinthia has to offer. 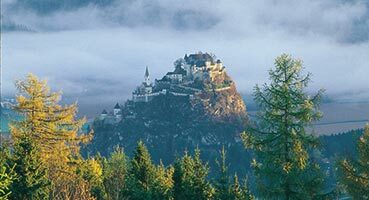 Built on a steep 150 m limestone rock, Hochosterwitz Castle is considered to be one of Austria‘s most impressive rock castles. The interesting castle museum and the extraordinary castle complex with its14 gates are among Carinthia’s most popular tourist attractions. 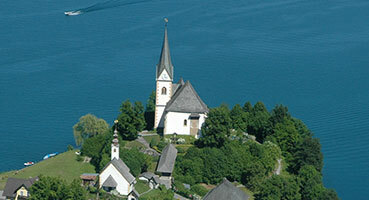 The sanctuary was built around 875 AD and lies on a rocky peninsular on the southern shores of the lake. 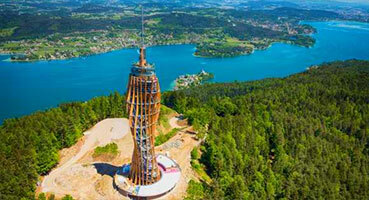 Enjoy a unique view of Carinthia and its beautiful lake area (Wörthersee, 4-lakes valley Keutschach) from a height of 905 m. A modern elevator takes you to the viewing platform within 24 seconds. 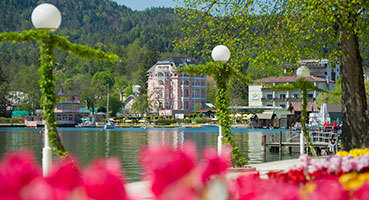 Thousands of flowers and the unique view of the lake and of the Karawanken range invite you to take a walk along the 1.5 km Wörthersee flower promenade in the middle of a nature reserve. 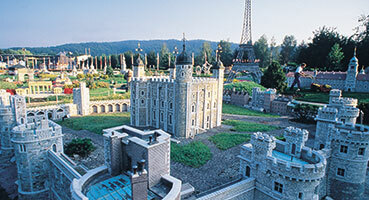 The miniature world at Lake Wörthersee - 150 of the world’s most famous buildings gathered in an open air museum. Go on a sightseeing tour around the world and discover all the places of interest. Great entertainment for all ages. 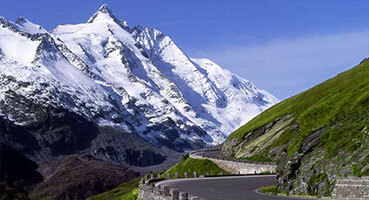 Since 1935 the Grossglockner High Alpine Road has been an unforgettable experience for 50 million visitors. The famous alpine road ends at the base of the highlight of the Hohe Tauern National Park: the Grossglockner (3,798 m) and the Pasterze, Austria’s highest peak and largest glacier. 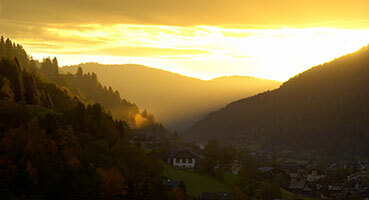 Visit the Römerbad thermal spa or take the cable car to go up into the mountains. Take a walk or simply enjoy the marvellous view. Built on an idyllic plateau high above lake “Millstättersee”, Sommeregg Castle is amongst the most attractive destinations in Upper Carinthia. 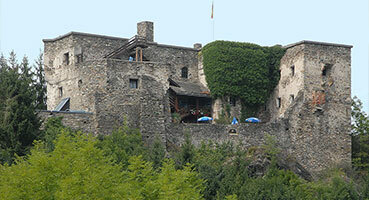 In its ancient walls Sommeregg Castle houses a castle restaurant and Central Europe’s largest museum of torture. Visit a bizarre world inside the mountain. 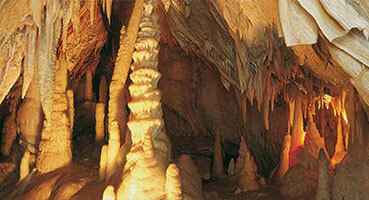 Walk through the impressive caverns cut into the limestone and enjoy the sound and light effects. Enjoy the outstanding multimedia cave event. Deep under the earth, visitors will see fascinating mystical shows using light and sound technology with water and smoke effects, about how the earth was formed and about the healing powers of nature. 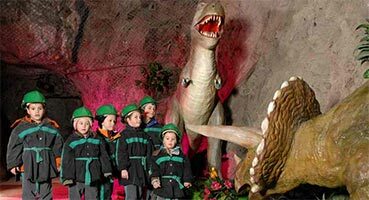 Experience the special atmosphere of the castle and enjoy the stunning view of Villach. 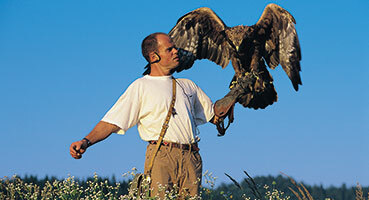 Several times a day you can watch the interesting show of eagle flights. 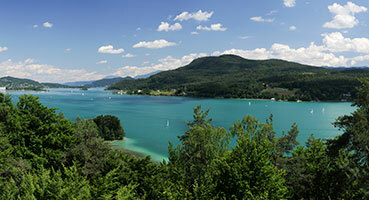 Enjoy the lovely view of the Central Carinthian lake area. At a height of 1,500 m above sea level you will find an alpine botanical garden with the most beautiful flowers of the Southern Alps. A chairlift takes you to an altitude of 1,957 m above sea level. 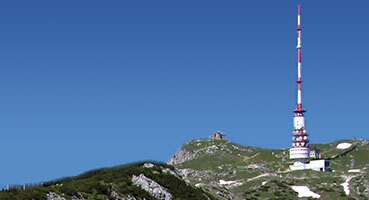 This is the starting point for many hiking trails to the “Höhenrain” summit at 2,167 m above sea level. 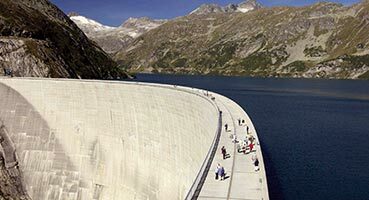 The Malta Alpine Panoramic Road runs through the impressive high alpine world of the Tauern Range and ends at Kölnbreinsperre, Austria’s highest dam. You reach Kölnbreinsperre after a thrilling 14.4 km ride along water falls, over 9 bridges and through 6 tunnels.